More likely to be in the news for continuing an age-old (and pretty one-sided) feud with Pavement or going off on any number of angry rants than his actual music, Billy Corgan isn’t the easiest person to root for these days. He is, however, responsible for some of the most enduring rock music of the ’90s, so even if expectations for a new Smashing Pumpkins album aren’t as high as they once were, there’s always the hope that Corgan will get his act together and strike oil once again. Well, after alienating fans with the widely panned comeback record Zeitgeist, the Pumpkins return once more with another new lineup (though it hardly matters with Corgan in the captain’s seat) and a new album, Oceania. Ostensibly the next installment in the band’s ongoing 44-song series/concept album Teargarden By Kaleidyscope, Corgan intended Oceania to be very much its own thing, and analyzing where it fits into the larger picture is besides the point. What’s imperative to understand is that this album is the best Pumpkins record since 1998’s Adore or perhaps even 1995’s Mellon Collie And The Infinite Sadness. Its sound harkens back to the dreamy, metallic prog of Siamese Dream, but even if this is nowhere near that masterwork, Oceania gets the band back to doing what they do best: making grandiose, melodic guitar music that rocks hard as hell too. The moment “Quasar” kicks in with its high-impact beats and trippy guitar riffs, it’s clear that Corgan is reinvigorated, and there’s an energy here that was sorely lacking from much of his recent work, which helps to push this album along when decent but otherwise unmemorable songs like “My Love Is Winter” threaten its momentum. Though there aren’t anthems on the level of “Cherub Rock,” “Today,” or “1979”—this is mostly due to a dip in songwriting quality—it’s harder to complain when we get something like “Panopticon” or the glorious rush of “The Chimera,” a sunny, glistening gem where Corgan and Jeff Schroeder trade off rousing guitar solos. Yet Oceania largely avoids tracing over the Pumpkins’ past glories by cultivating its own personality, expanding its sound with synth arpeggios and string arrangements, while the production shades the music in cooler colors, lending the songs a slight air of mystery. Nowhere can this be seen better than the gorgeous, shape-shifting ballad “Pinwheels,” a sweeping, spacey epic that showcases Corgan at his most ambitious and exciting. 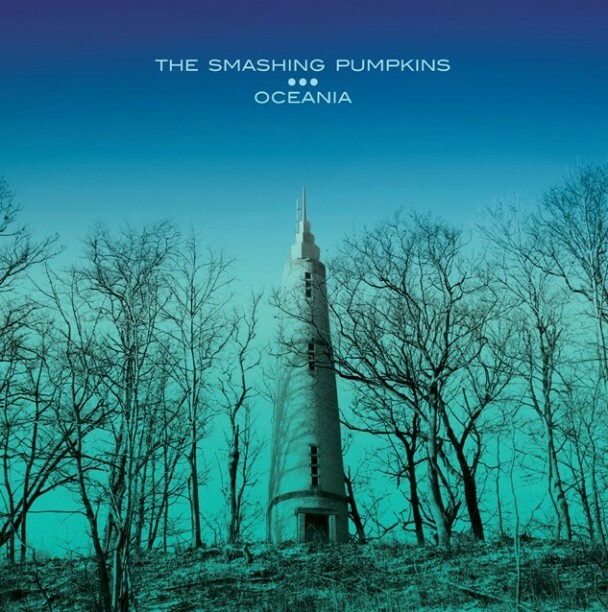 Like most Smashing Pumpkins albums, this one runs about 15 minutes and 4 tracks too long, but Oceania suggests that if Corgan keeps his head in the game, greatness may one day again be within his grasp. Unlike the six-year hiatus between When The Pawn Hits The Conflicts He Thinks Like A King… and Extraordinary Machine, the seven-year wait for Fiona Apple’s fourth album wasn’t marred by significant scandal—major conflicts with a controlling label, scrapped studio sessions, bootleg Jon Brion sets, etc. Instead, she largely took the time to chip away at her music until she had something to be proud of, and with no hubbub and relatively little hype comes Apple’s fourth album The Idler Wheel Is Wiser Than The Driver Of The Screw And Whipping Cords Will Serve You More Than Ropes Will Ever Do, a record as fantastic as its title is extravagant. Pivoting away from the jaunty, circus-like atmosphere of Extraordinary Machine, The Idler Wheel is perhaps her most intimate and personal record yet. Apple takes over production duties for the first time (with the assistance of drummer Charley Drayton), and she places the emphasis squarely on her voice, the piano and drums, all of which take unexpected rhythmic and melodic turns. It’s a strange, spare album, too: There are no obvious singles here; the arrangements are often sparse with a few found sounds and overlapping tracks folded in, yet it’s not particularly impenetrable either. It does its business assuredly and without hurry, immediately hooking you in and then slowly unraveling itself upon repeated plays, like how the shock of “Left Alone”‘s off-kilter rhythms and vocal gymnastics eventually give away to the anger and sadness beneath. And while Apple’s poetic lyrics still investigate relationship struggles, her words here just as frequently suggest internal strife (“Every single night’s a fight with my brain”) as they do outward conflict (“I could liken you to a werewolf the way you left me for dead/but I admit that I provided a full moon”), eventually culminating in the humorous sexual power politics of “Hot Knife.” Moreover, at about 43 minutes, The Idler Wheel runs the same length as When The Pawn, yet arguably covers more ground than any of her previous records, hinting at some of the jazz and experimental flourishes of her earlier work while maintaining its own identity. Even so, for an album that veers off onto whatever path it chooses (and one that conceivably runs the risk of self-indulgence), there’s also remarkable cohesion: From the bruising “Regret” to the pensive love song “Jonathan” and the frustrated “Every Single Night,” there’s simply not a bad song to be found, nor one that feels out of place. 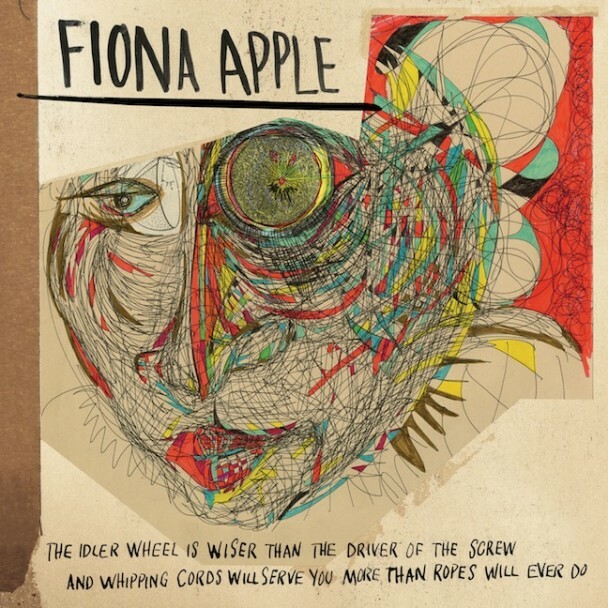 The Idler Wheel is the purest distillation of Apple’s talents thus far as well as one of the best albums of 2012. It wasn’t very long ago when the idea that there could even be a twenty-ninth Beach Boys album seemed preposterous. With years of in-group squabbling and Carl Wilson’s passing, it just didn’t seem in the cards that the group would ever reunite, let alone record new material. But as the remaining members released their legendary unfinished album SMiLE—first Brian Wilson’s solo reimagining, then the definitive 2011 Smile Sessions collection—there was renewed interest in a band once thought to be a thing of the past. And now, coinciding with their 50th anniversary tour, arrives That’s Why God Made The Radio, their first album of all-new songs in twenty years, as well as their first featuring guitarist David Marks since 1963. Given that this a comeback album of sorts, especially one coming from such a storied band, there’s loads of nostalgia to be found here, both in the summer fun lyrics and the Pet Sounds and Sunflower-styled aesthetic. 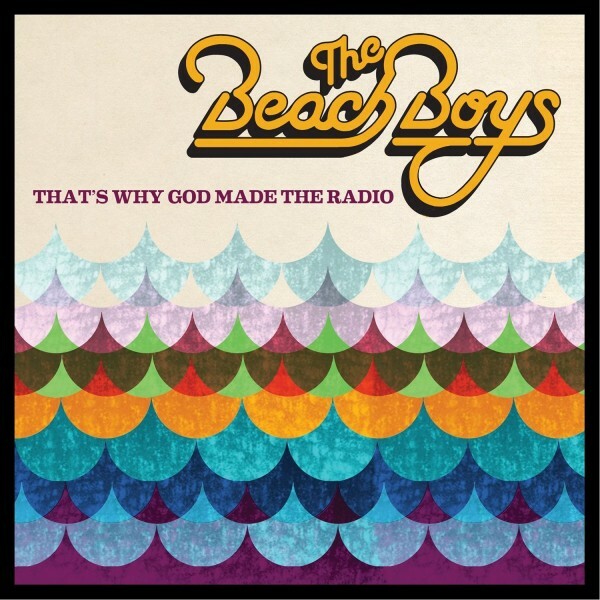 Of course, there’s nothing wrong with that, at least in theory, and as the graceful intro “Think About The Days” gives way to the warm, breezy title track, complete with some truly lovely harmonies, it really seems that the Beach Boys have returned to their powers. However, the album then sharply nosedives to some truly mediocre material, which, at times, nears self-parody. These songs generally take the band’s two default pathways: songs that idealize summer and vaguely melancholy songs about life and love in modern times. Again, in and of itself, this isn’t an issue, and lyrics like “Spring vacation/Good vibrations/Summer weather/We’re back together” wouldn’t be so cloying if the music was strong enough to support them, nor would the critique of our celebrity-obsessed culture in “The Private Life Of Bill And Sue” feel so shallow. Instead, the album’s awkward mix of psych-pop, soft rock, adult contemporary and tropical music ends up sounding like the songs are being performed by a covers band rather than the actual group itself, albeit a covers band who harmonize remarkably well. Songwriting aside, the other disappointment here is Brian Wilson’s production. This isn’t the ’60s, and studio technology and techniques have evolved considerably, so it makes sense that Wilson would take advantage of these advancements. However, he tries to have it both ways: emulating the past while giving everything a thick coat of modern gloss. Instead of invigorating their music, Wilson’s production feels like a crude approximation of the classic-era Beach Boys sound, so little feels authentic. Fortunately, the last three tracks end up being the saving grace for That’s Why God Made The Radio, providing a sighing, SMiLE-inspired coda to the album, the restful sunset to a day at the beach. The mellow, wistful tone of these songs has a maturity sorely lacking from the rest of this regressive record. These parting moments imply that the Beach Boys may still have some ideas up their collective sleeve. Too bad not enough of these ideas show up to make this album anything but for diehard fans only. On the strength of her excellent, kinetic 2011 single, “212,” as well as handful of lesser-known songs, 21-year-old Harlem-based rapper Azealia Banks became one of the year’s most buzzed-about artists on hip-hop and underground music blogs. This blinding hype immediately earned her attention from major rappers and labels alike, virtually ensuring her mainstream recognition. So with one foot in the door to the big leagues, Banks hopes to make a big entrance with her much-delayed EP (and first official release), 1991. Wisely acting as both a sampler for the uninitiated and a teaser for her first album, half of this four-track teacher is made up of pre-released material, just professionally remixed and retooled. (“Liquorice” gets a cleaner, fuller production, for example; “212” retains its high-quality recording from its single release.) The first two songs, though, “1991” and “Van Vogue,” are brand new, and they suggest that Banks’ flirtation with dance music will only escalate. The title 1991 may refer to the year she was born, but with all the four-on-the-floor beats, retro synths and clipped R&B vocal samples, the production on these tracks directly recalls that bygone era, where house and new jack reigned supreme and 808 State slotted into a nightclub’s regular rotation. That being said, this is still a hip-hop record, not a DJ set, and Azealia’s exuberant, profane rapping (and the occasional soulful vocal) fill these songs with a liveliness and recklessness that many of her peers lack. While her monosyllabic and onomatopoeic rhymes are often chosen in service of the rhythm, there’s a fair share of clever boasts, put-downs and come-ons to warrant close listening, especially on “212” and the title track. Comparisons, contrasts and feuds (real or fabricated) with Nicki Minaj and Lil Kim aside, it’s also just refreshing to hear another talented female rapper take to the mic, when, even in 2012, there are remarkably few. This EP may have more style than substance, but oh! what style it is. Though nothing else is as instantly grabbing as “212”—and that spoken-word interlude goes on way too long—just about everything here hints at bigger and better things to come from Ms. Banks, and 1991 certainly whets the appetite for a full-length album. In an era saturated with nostalgic trends, genre revivals and blankly derivative indie artists, Liars have always stood apart. Even compared to similar, avant-leaning artists, they have honed a distinctive voice that carried through all their albums, no matter how dissimilar each record could be. And their sixth album WIXIW (pronounced “wish you”) is no different, sounding wholly unlike anything they’ve done before yet feeling undeniably familiar. Though it’s tempting to say it is Liars’ first electronic album, that’s not entirely accurate. Electronic music has figured heavily into the band’s work since 2004’s They Were Wrong, So We Drowned, but here it provides the groundwork for their eerie, shape-shifting songs, rather than the accents. Instead of pushing these digital sounds into the red, though, Liars explore gentler, more relaxed moods, albeit ones that can still be unnerving at times. Out of all their records, WIXIW most strongly recalls the atmospheric Drum’s Not Dead, though there’s a more structured, song-based approach here that makes this far more accessible. “No. 1 Against The Rush” has an ominous melancholy that belies its subtly driving beat; meanwhile “Brats,” with its cool, fuzzed-out vocals and surging rhythm, is the closest Liars will ever come to a nightclub jam, even if there’s still an air of demented menace. The album also contains some of the trio’s calmest, prettiest material ever, whether it be the sighing synth dream “The Exact Color Of Doubt” or the abrupt turn into woozy folk on “Annual Moon Words,” which ends the record on a positive note. It’s true the music sometimes recalls the shadowy, paranoid electronica of Amnesiac through In Rainbows-era Radiohead, especially on the weary, sinister “Octagon” and in the Yorke-ian vocal snippets that chime in on “His And Mine Sensations.” But, to reiterate, this isn’t Liars’ version of a Radiohead album or something that directly apes that group—just like how Liars wasn’t directly aping mid-period Sonic Youth. They’re just yet another influence deconstructed, absorbed and repackaged bearing Liars’ signature stamp. 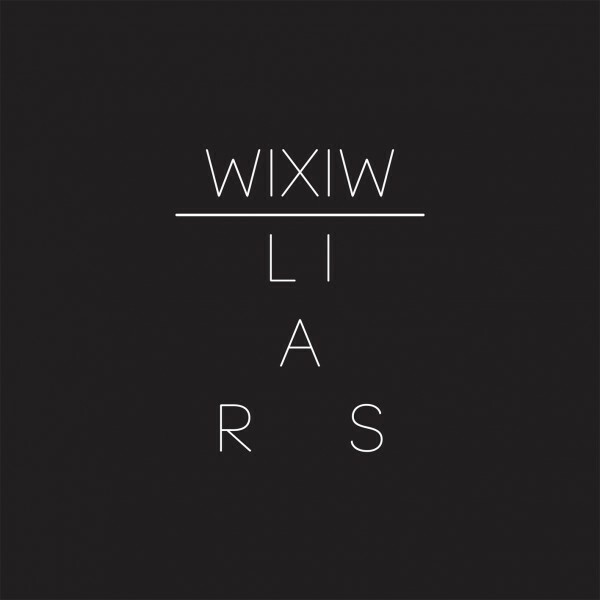 There are few true highlights to speak of, but WIXIW might be the band’s most consistently rewarding record yet.